It’s fair to say that I returned from the BBC Good Food Show with a haul. A rather large haul of rather amazing goodies. Think of all the flavours of cheese you could possibly want to eat. 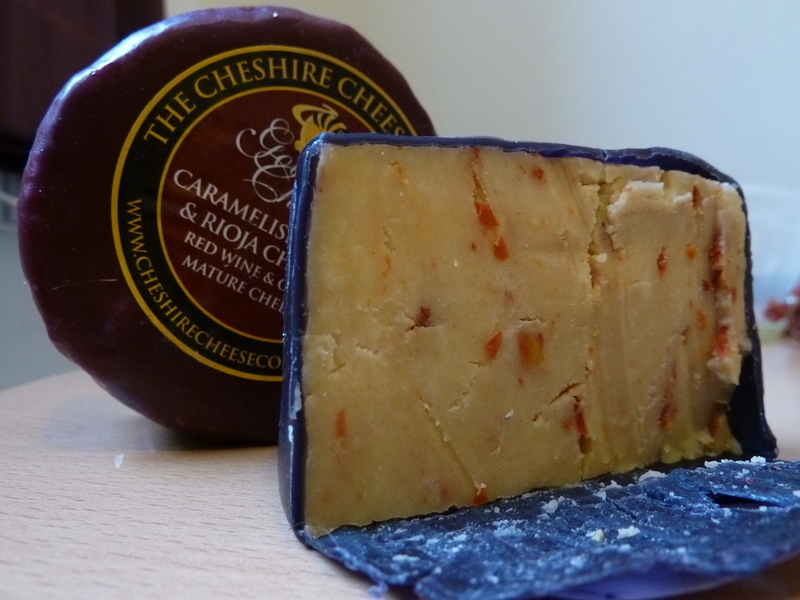 Then, look at the Cheshire Cheese Company selection and have your desires increase tenfold. Flavours range from Taste of the Raj Curried Cheddar to Sticky Toffee Heaven. I recommend the Oak Roasted Cherry Tomato & Garlic for the depth of flavour and the hint of smokiness which leaves you craving more. Also fantastic is the Rioja and Caramelised Onion Gourmet Cheddar, which strikes the right balance of sweetness infused with a tang. Apparently, the most fashionable item at the show this year is chilli jam, and relishes in general. I tried A LOT of jams and relishes. 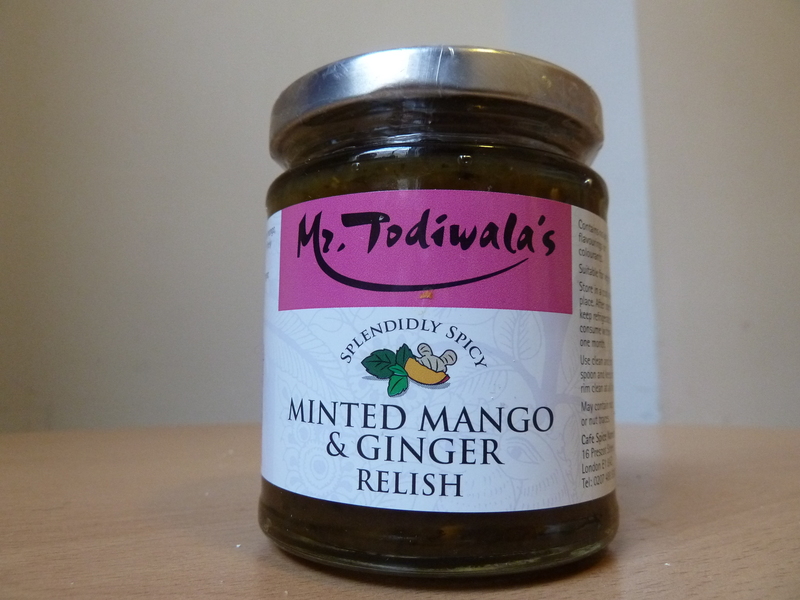 Without a doubt in my mind, I saw Mr. Todiwala’s Minted Mango & Ginger Relish jump onto a pedestal and laugh at all the lowly competition. The mint gives a freshness and vitality to the relish, which is zingy, sweet and addictive. I can’t wait to have some curry so I can eat this. Mr. Todiwala’s Beetroot Chutney is also pretty fantastic. I didn’t manage to sample all the rest but, based on the track record, I would happily experiment with the other varieties. Mr. Todiwala runs Café Spice Namasté, a dangerously convenient 20 minutes walk from my apartment. I promise a review shall be forthcoming. 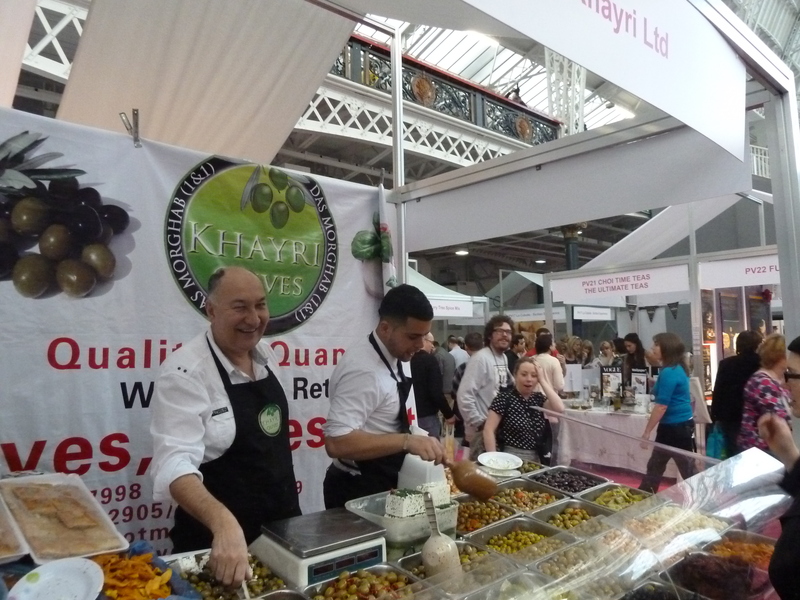 He has also recently opened Mr. Todiwala’s Kitchen at Hilton London Terminal 5. For those of you who feel like fuelling yourselves before suffering aeroplane food. The offer was too good to refuse. They sell 6 varieties for £10 from their website, but I got 7 and no post and packaging charges! 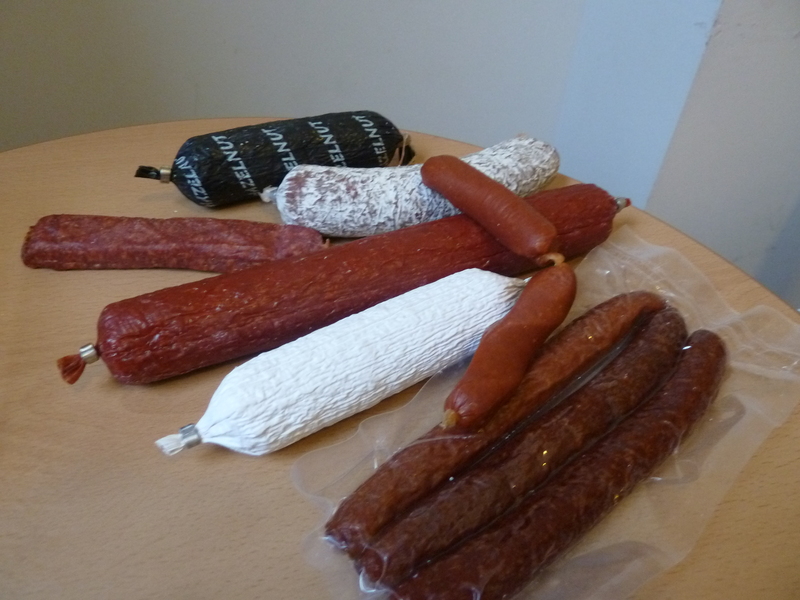 I was sold after sampling the farmer and green peppercorn salami. I sneakily nibbled a bit of chorizo and I’m sorry to say that Tesco’s Finest beats it by miles. 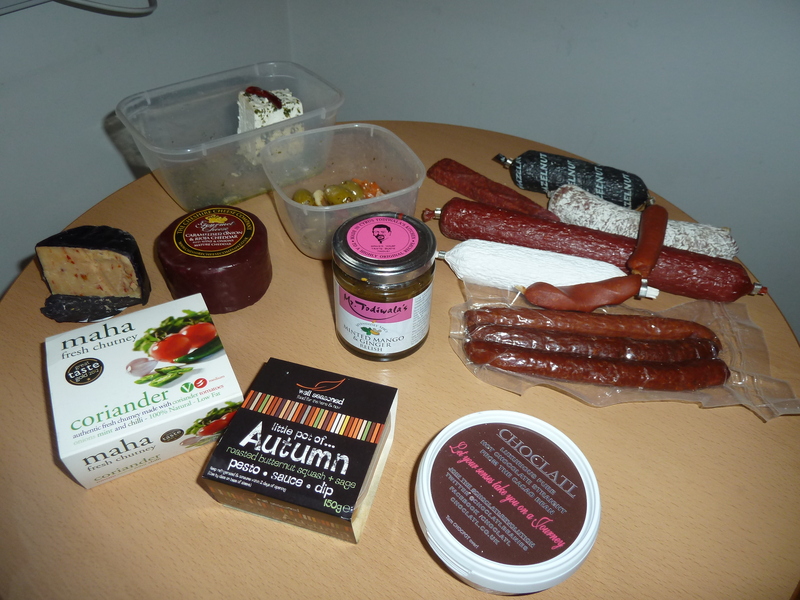 I’m not too sad though, as I can’t wait to tackle the rest, including a hazelnut salami! 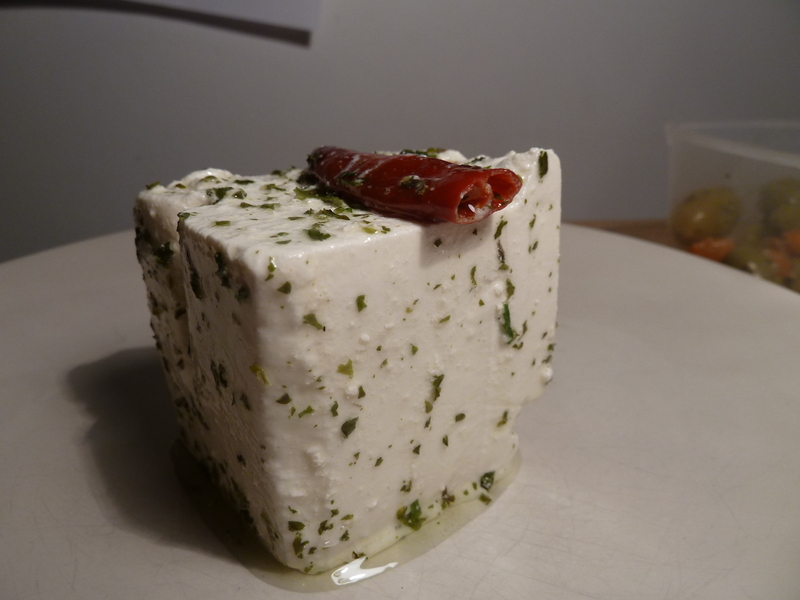 The best feta in the world! His method of charging may have been suspect, but there’s no doubt that this salesman knew how good his products are. The feta cheese that he sold me is the best feta cheese I have ever eaten in my entire life (and yes, I have been to Greece)! Coated in parsley, it’s not too tangy, not too bland, not too crumbly, not too stodgy. It is the perfect balance of creaminess and flavour. The highlight of my purchases. 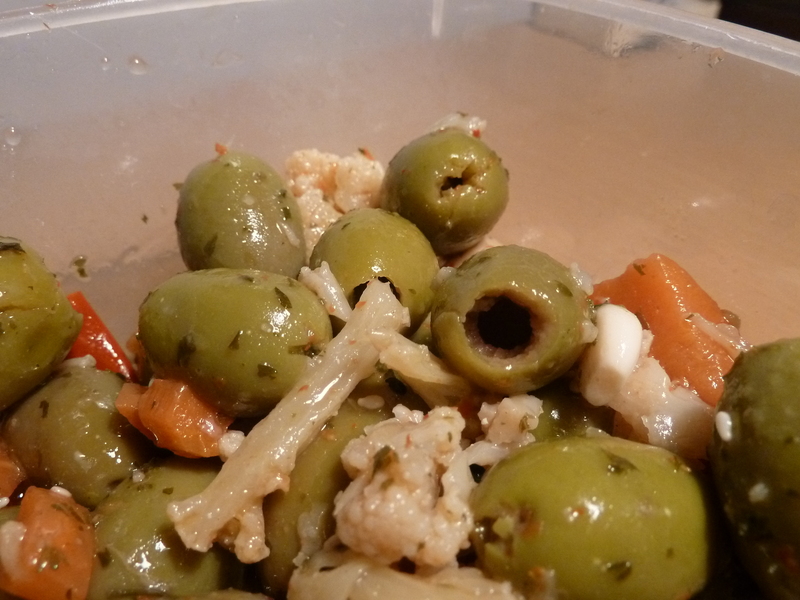 The olive mix was also fantastic, and included plenty of garlic. Mmmm. 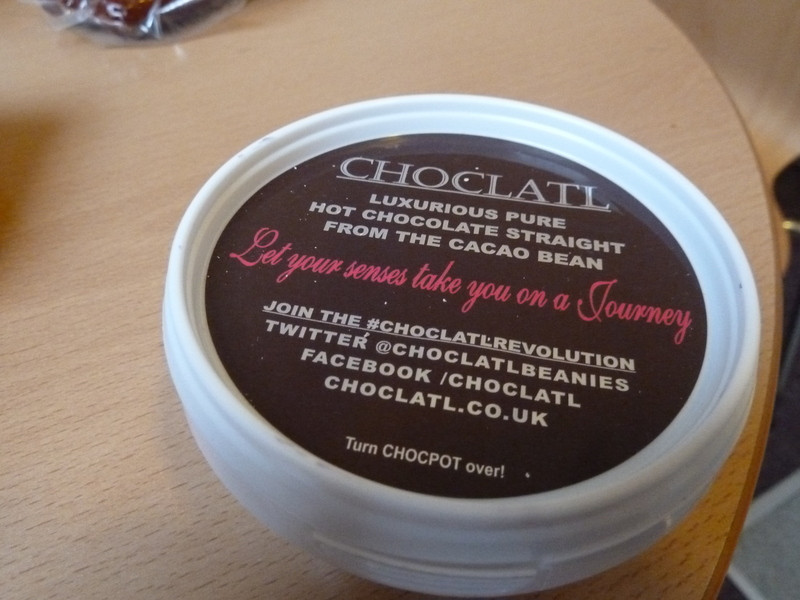 Choclatl have taken hot chocolate back to its roots. Roasting and grinding the cocoa beans like coffee, they produce a drink that’s pure and free of any additives. Essentially, it’s an intense chocolate shot. The drink is made by emptying a chocolate block out of the tub and boiling it up with water. Being a hot chocolate snob, I was horrified at this discovery. Until I realised Choclatl is thick, rich and doesn’t require milk. In fact, it’s so rich that two shots is plenty! I tried the Mayan blend of cinammon and almonds, and it was beyond sublime. Sadly, they had all sold out when I went to buy, but I managed to grab their last tub of “Luxurious Pure”. Verdict to come! This really surprised me. I like coriander, but I can find it overpowering and little soapy in flavour. 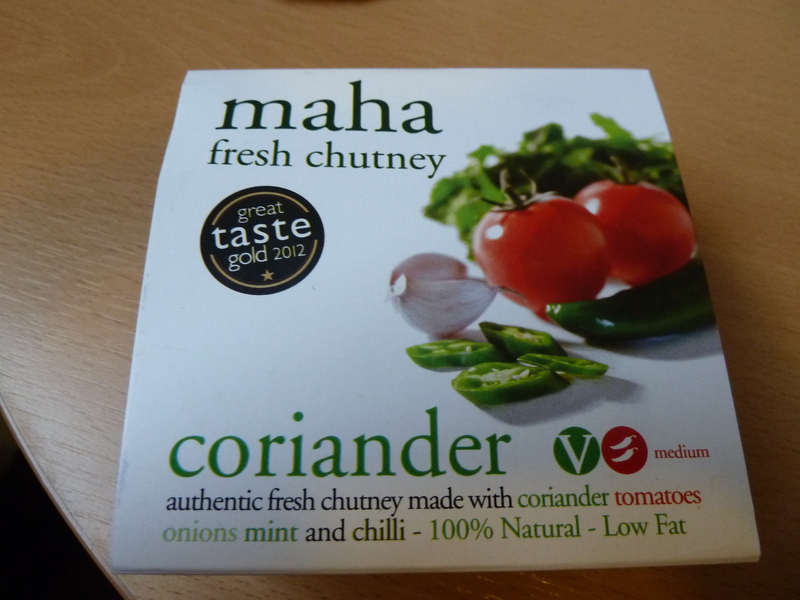 I certainly wasn’t expecting a coriander chutney to be so mild…and delicious. Really delicious. A great fresh flavour. I can’t wait to coat some lamb chops in it! Maha Fresh Chutney are running a Kickstarter campaign next month. Follow them on Facebook or Twitter to stay up-to-date. 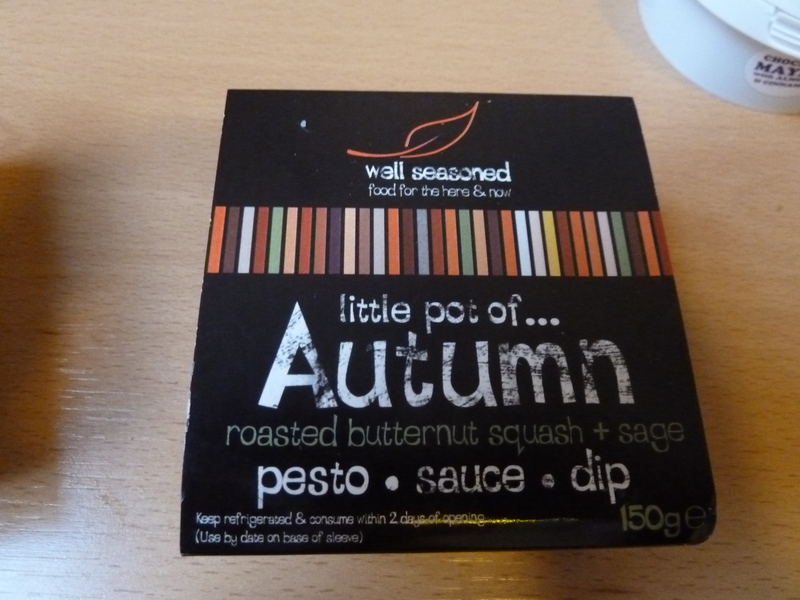 The concept really appealed to me – a seasonal British pesto! I love the ethos behind the product: firstly, pesto can be British and there’s a lot of wonderful produce to be used, and secondly, let’s take advantage of the seasonal variation. I tried the Chestnut Mushroom and Garlic, which I imagine goes really well in a risotto. But the Butternut Squash and Sage stole my heart stomach and I’m really looking forward to trying this recipe for a Butternut Carbonara at the weekend. Ciren Calui for their 100% Natural Chilli Jam. I would be interested in trying more from their range, and would have bought some if funds had allowed. Joe and Seph’s Flavoured Popcorn. I know it sounds revolting but it’s seriously addictive stuff. I loved the peanut flavour and the seasonal mince pie flavour is worth a try! Mannings Juice – please would you pour your apple juice down my throat? Flavour Magic for their fajita mix, although I bet their rock salts are great as well. I know – wasn’t it great? !